Poltys has designed a cost effective call accounting solution to help you manage your telephony costs and observe your high-volume telephony traffic. With Call Accounting (CCAccounting), the supervisor can monitor and report telecommunication activity. CCAccounting collects incoming and outgoing telephone data generated by your phone switch and is used to control operation expenses, distribute costs and increase employee productivity. The telephony data collected typically includes date, time, call duration, calling/destination parties, call authorization, account code and line/trunk information. CCAccounting uses this data to provide cost, caller identification, location information and more for report summary and detail generation. The new call budgeting addition keeps you in control of operational costs related to outbound call campaigns. You can further improve on the telephony solution by adding other features such as an Integrated Voice Reponses Unit (IVR), which can be totally customize to fit any environment. 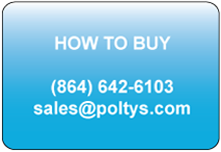 Whether your business is a law firm, medical facility, alarm company or any business that hold security in high regards, Poltys’ Recording Solution will help you secure recordings of all those important calls, with easy access to call reports that can be easily emailed to email recipients.